AudioAficionado.org - View Single Post - Why not ML in the Manufacturer forum? Thread: Why not ML in the Manufacturer forum? The new Mark Levinson 585 integrated amplifier looks handsome. The No 585 is a fully discrete, mirror-imaged dual-monoaural 200-watt per channel integrated amplifier with a high-resolution 32-bit/192kHz D/A converter on board (complete with asynchronous USB input). The power supply and amplifier sections are fully linear, with the output stage using Class AB mode. Volume control is via 15-bit R-2R ladders and there’s a switchable second-order 80Hz crossover to allow seamless integration into 2.1-channel systems. 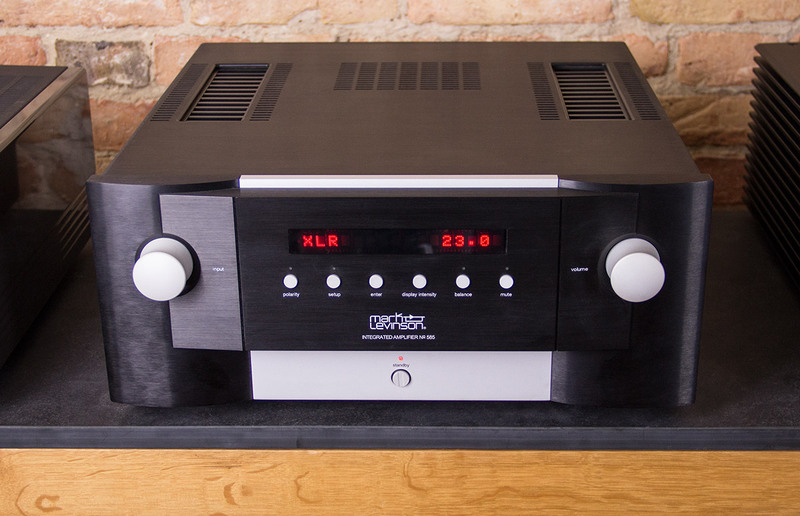 The amplifier/DAC has four analogue inputs, and six digital inputs and the 200-watt per channel rating is into 8 ohms, with the amplifier rated as delivering substantially higher power levels into 4 ohm and 2 ohm loads. Last edited by jdandy; 01-17-2016 at 02:44 PM.